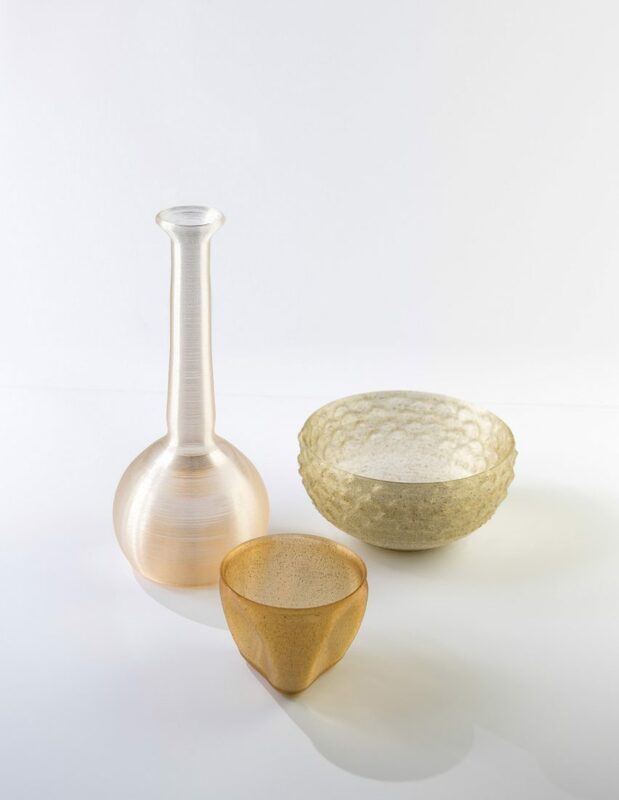 Dutch designers Eric Klarenbeek and Maartje Dros have developed a bioplastic made from algae, which they believe could completely replace synthetic plastics over time. 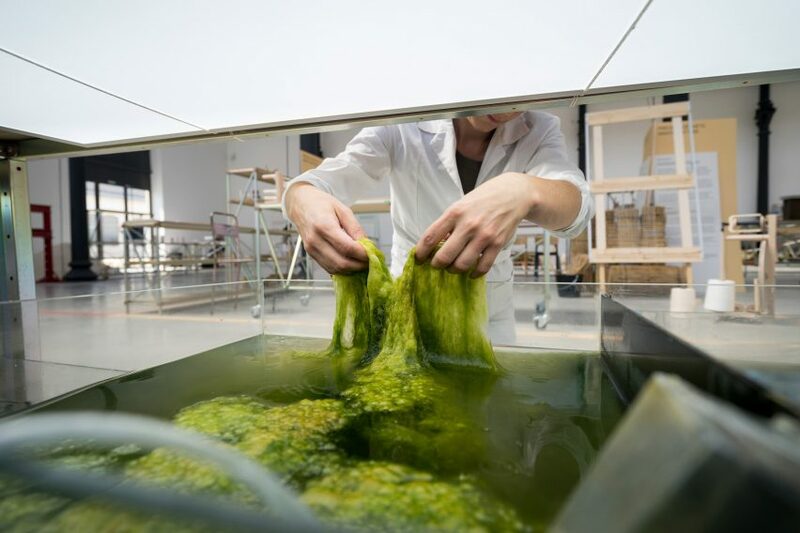 Klarenbeek and Dros cultivate algae – aquatic plants – which they then dry and process into a material that can be used to 3D print objects. The designers believe that the algae polymer could be used to make everything from shampoo bottles to tableware or rubbish bins, eventually entirely replacing plastics made from fossil fuels like oil. 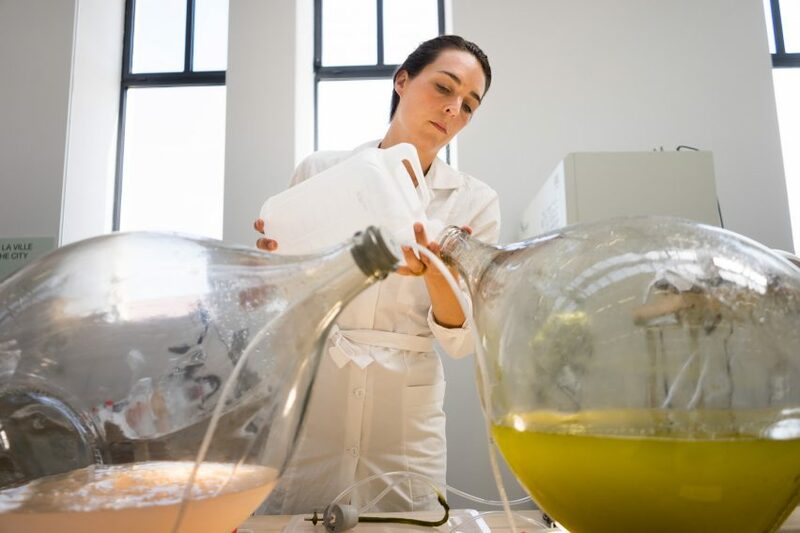 They are among a host of designers using algae to create products that are more environmentally friendly than their synthetic counterparts, from fabric dyes and water bottles to chairs and even entire building facades. 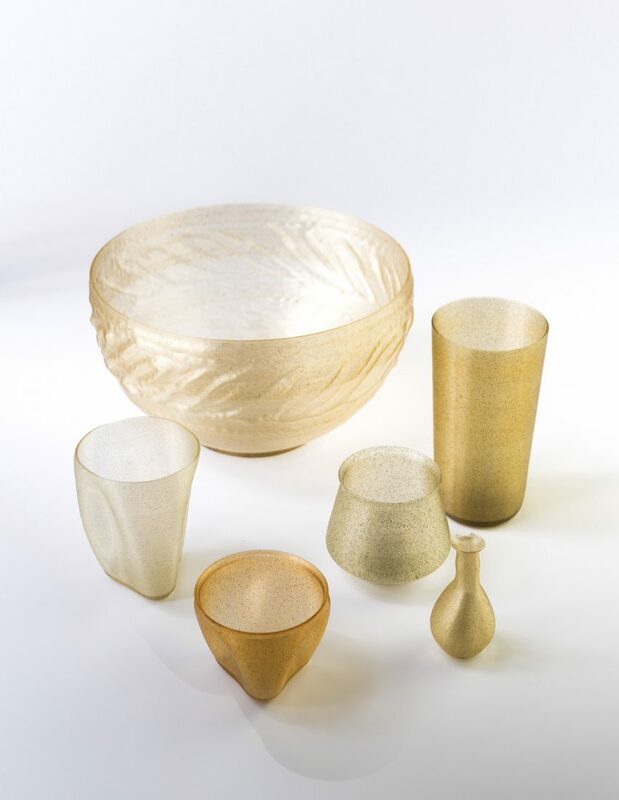 As well as algae, Klarenbeek and Dros have created biopolymers from other organic raw materials such as mycelium, potato starch and cocoa bean shells, which they use to 3D print objects. 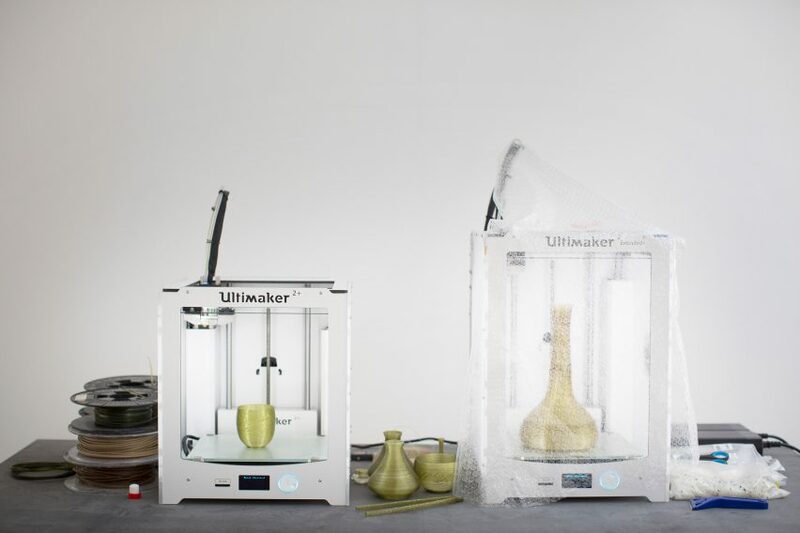 The studio's ultimate goal is to establish a local network of biopolymer 3D printers, called the 3D Bakery. "Our idea is that in the future there will be a shop on every street corner where you can 'bake' organic raw materials, just like fresh bread," said Klarenbeek. "You won't have to go to remote industrial estates to buy furniture and products from multinational chains. 3D printing will be the new craft and decentralised economy." Both Design Academy Eindhoven graduates, Klarenbeek and Dros' research follows on from Klarenbeek's work with mycelium, which began six years ago and led to him developing the world's first 3D-printed chair using living fungus. Since then, together with American company Ecovative, the studio has developed a commercial line of mycelium products called Krown. The DIY kits allow consumers to grow their own lamps, tables or biodegradable picnic items. The designers believe their project offers a solution to the vast consumption of non-renewable fossil fuels, which emit carbon dioxide (CO2) into the atmosphere when burnt to create materials like plastic. Scientists attribute rising CO2 levels to global warming. "All around the world in recent decades, enormous amounts of fossil fuels – materials that lay buried in the ground for millions of years – have been extracted," said the designers. "In this relatively brief period, a vast amount of carbon dioxide has been released into the atmosphere, with damaging consequences. It is therefore important that we clean the CO2 from the atmosphere as quickly as possible and this can be done by binding the carbon to biomass." As a type of plant, algae absorbs carbon dioxide during the process known as photosynthesis, which it uses to create energy. 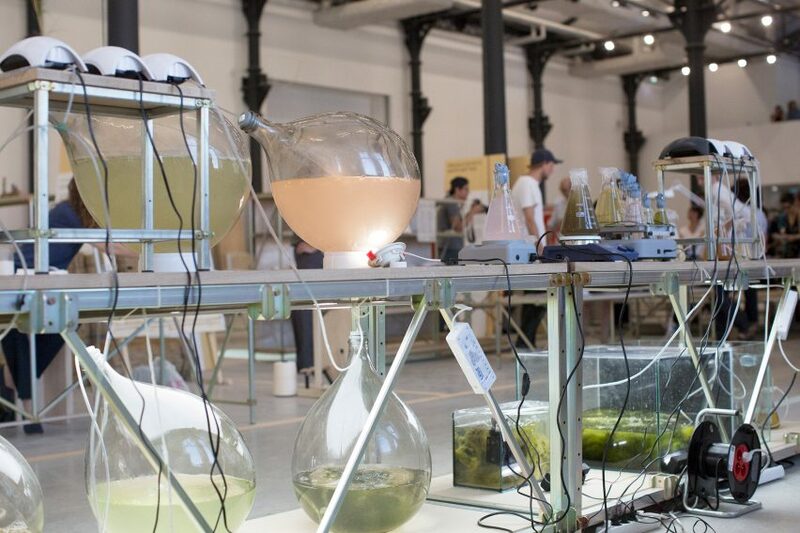 Therefore, the designers are advocating the growth of algae to be used as a production material to help reduce global CO2 levels and prevent climate change. "Everything that surrounds us – our products, houses and cars – can be a form of CO2 binding," they said. "If we think in these terms, makers can bring about a revolution. It's about thinking beyond the carbon footprint: instead of zero emissions we need 'negative' emissions." After three years of research into algae with Wageningen University, Salga Seaweeds, Avans Biobased Lab in Breda and other institutions, Klarenbeek and Dros were invited to establish an open research and algae production lab at the Luma Foundation in Arles. "Algae is equally interesting for making biomass because it can quickly filter CO2 from the sea and the atmosphere," said the duo. Since February 2017, the pair has been splitting their time between their home and studio in a former paint factory on the River Zaan in Zaandam, the Netherlands, and the AlgaeLab at atelier LUMA in Arles, France. In the lab, the duo cultivate the living algae, which they then dry and process into a material that can be used to 3D print objects. 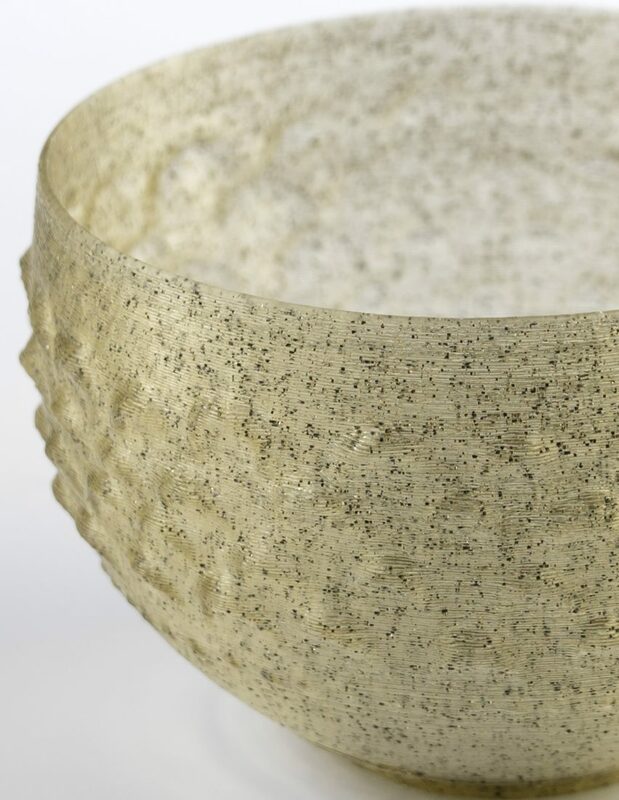 The designers believe that the local algae polymer could be used to make everything from shampoo bottles to tableware or rubbish bins, eventually replacing fossil oil-based plastics entirely. "Our ambition is to provide all restaurants and catered events in the city with tableware from the AlgaeLab," they said. 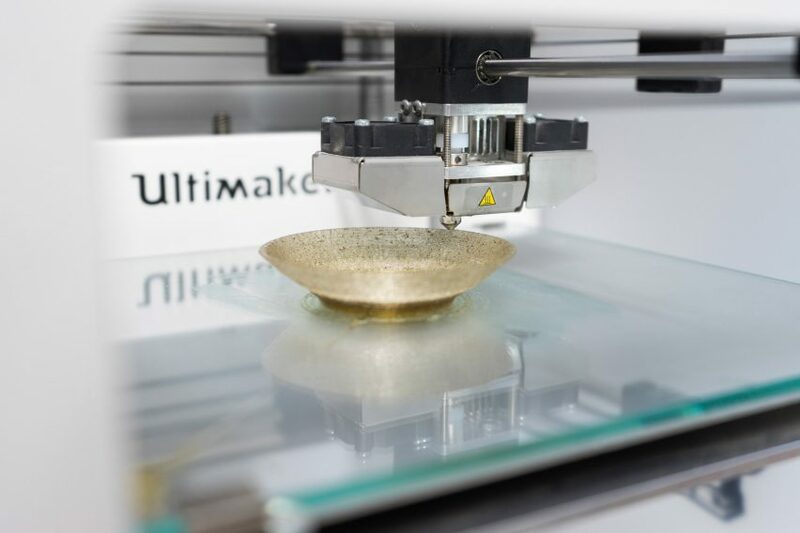 "We are currently using our 3D printers to produce the same design in Arles and in Zaandam, one from French algae and the other from Dutch seaweed." 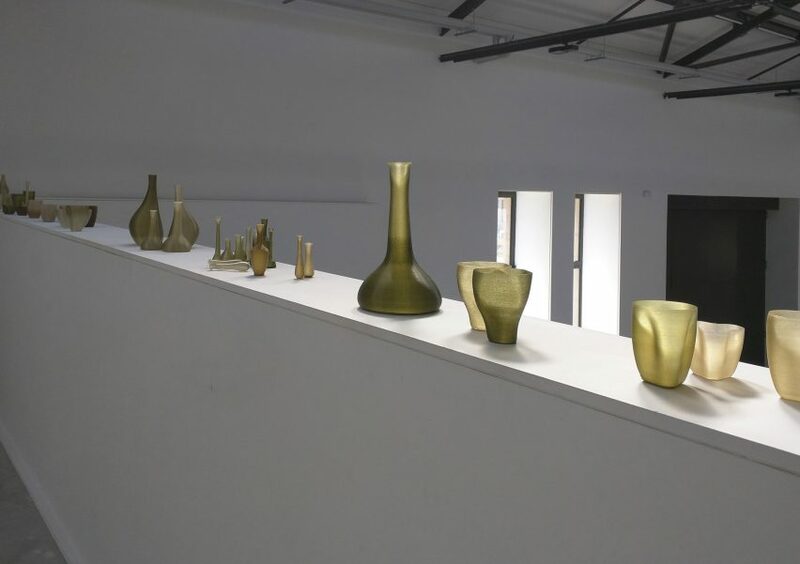 "Both have exactly the same form, but they are made from local materials," the studio continued. "This is the change we believe in; designing products that are distributed via the internet but made locally." "We don't want to grow into a large centralised organisation," added Klarenbeek, who believes that the 3D Bakery could be a reality within 10 years. "We want to change the system so that people grow raw materials locally that they can use to produce things that comply with their needs." The duo's research is currently on show at Museum Boijmans Van Beuningen in Rotterdam as part of an exhibition called Change the System, curated by Annemartine van Kesteren. 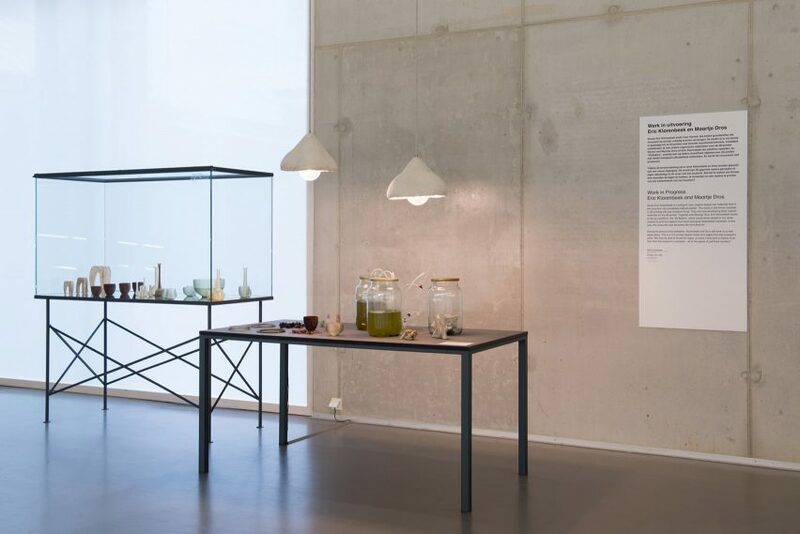 For the duration of the exhibition, which runs until 14 January 2018, Klarenbeek and Dros are working on a new algae glass made from algae grown in the museums' pond. 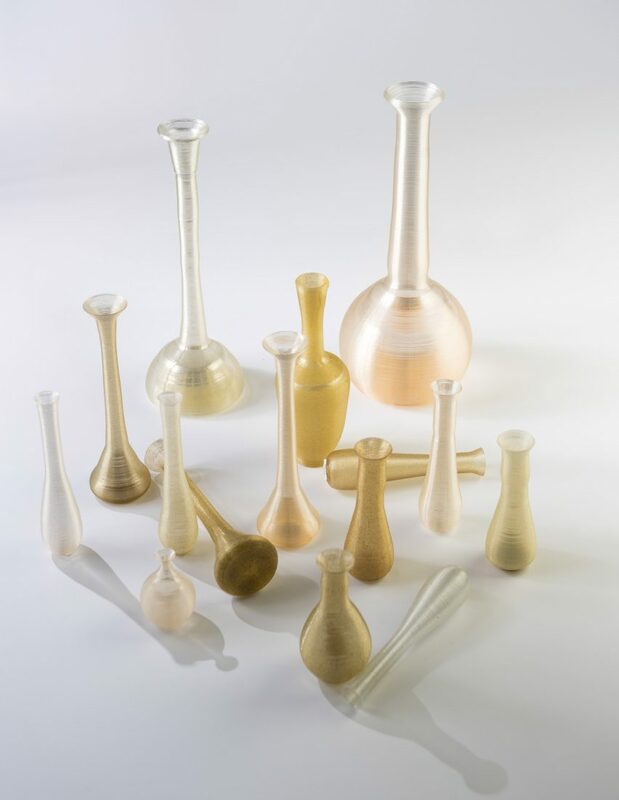 When enough algae is produced, it will be "harvested" and dried into a 3D printable material, which will then be used to produce a replica of a glass object from the museum's collection. Van Kesteren presented this project as part of Dezeen's Good Design For A Bad Worldtalks series at Dutch Design Week, which aimed to question whether designers can offer solutions to global issues. The curator sees Klarenbeek and Dros' work as an important example of how a small project could be scaled up, to make a real difference to the world. "According to Eric, if we dream big we need to find the solutions on a microscale," said Van Kesteren. "Algae are a miracle in his approach."